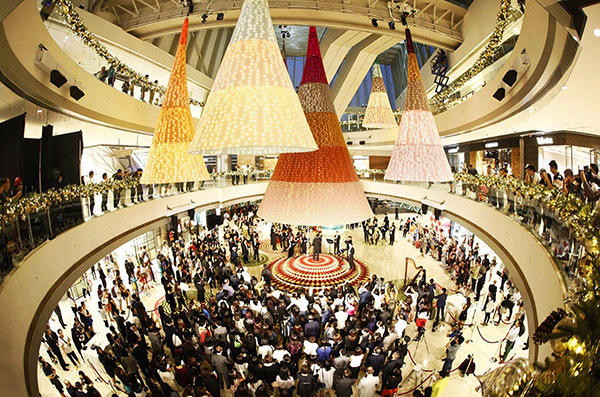 For the holiday season in Hong Kong, Architectural firm, Spatial Practice, completed a site-specific installation titled “Glowing Trees” within an oval atrium in the city. 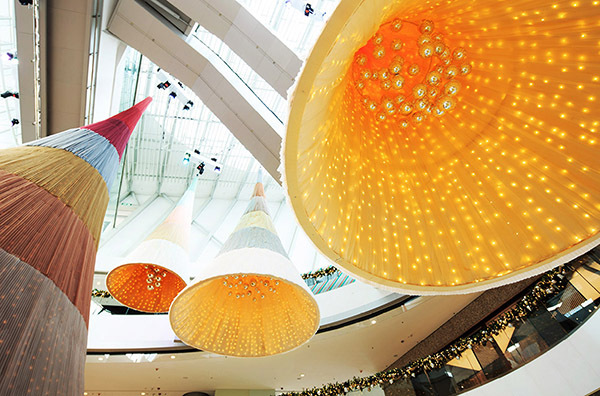 The sculptural forms not only dressed the environment for the holiday season, but they created a journey for those who visited. Emotions were induced, which included anticipation, discovery and sharing. 2,174 strips of fabric composed each form, which were hand sewn, pleated and assembled over the structure. Inside, mirrored balls provided a unique internalized experience, while below custom-patterned, hand-woven carpets provided a colorful base. 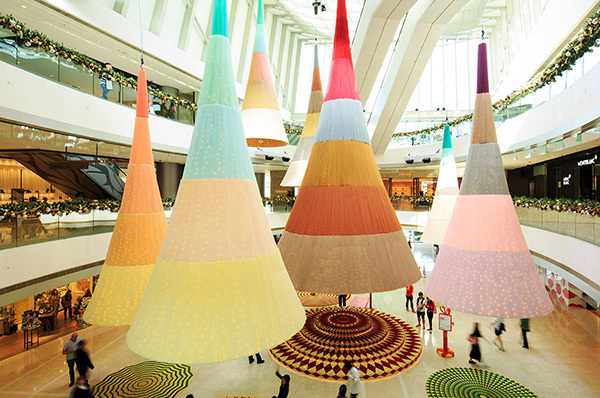 The installation was choreographed in an up-and-down kinetic motion, which united the experience among the site’s multiple floors. The sculptural motion forced attendees to slow down and appreciate what was happening around them. Along with this visual stimulation, attendees were encouraged to engage with the environment, by wandering between, lying underneath and gathering around. The largest of the trees, 3 meters in height, included a camera which captured selfie moments that the attendees could download, print and share.